Although England seems to be having yet another heat wave this week, dare I say it, I am still beginning to see the signs that summer is nearly over. The leaves on the silver birch tree outside my office window are starting to turn yellow and fall off the trees, the flowers are beginning to go over and the nights are drawing in. 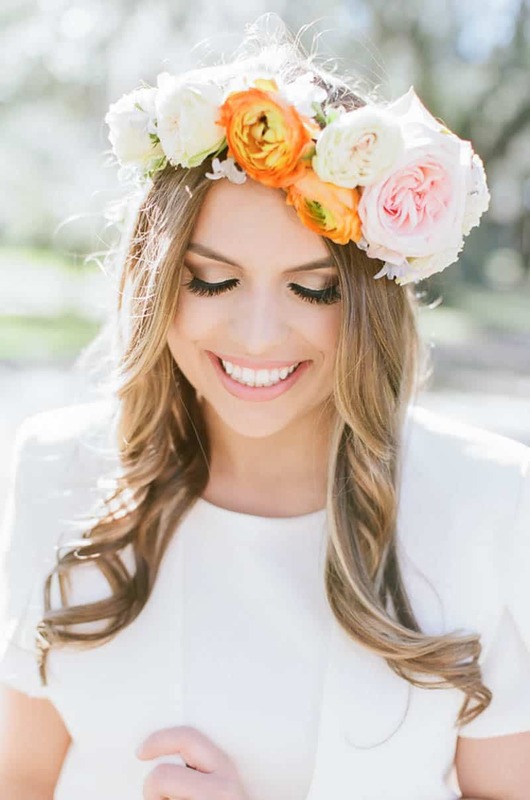 So in honor of summer, we are taking you back to where it all began with this April Shower inspired bridal shoot. 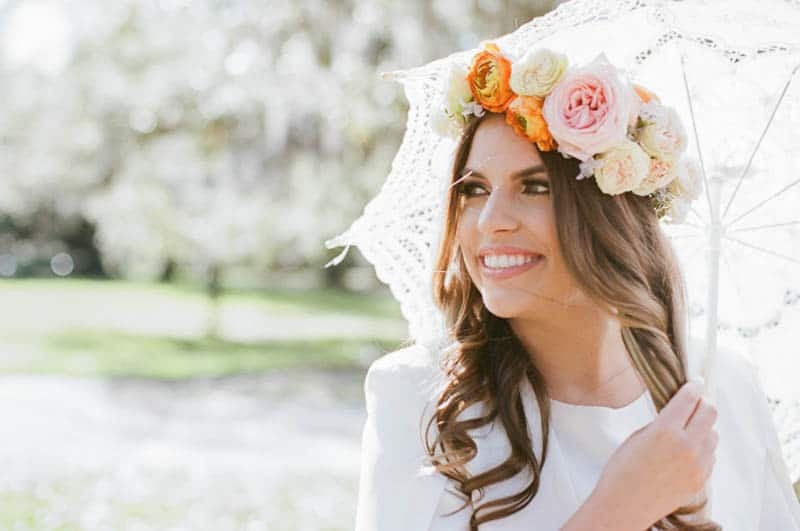 “The theme of this photo shoot was a play on the old proverb, ‘April Showers bring May flowers;’ Wedding planner, Robyn told us. “The twist would be ‘April Bridal’ Showers bring May Weddings! '” She explained. So beautiful and inspiring! 😀 Absolutely love it.